This is Wayne as "the Chef" of Muppet fame. 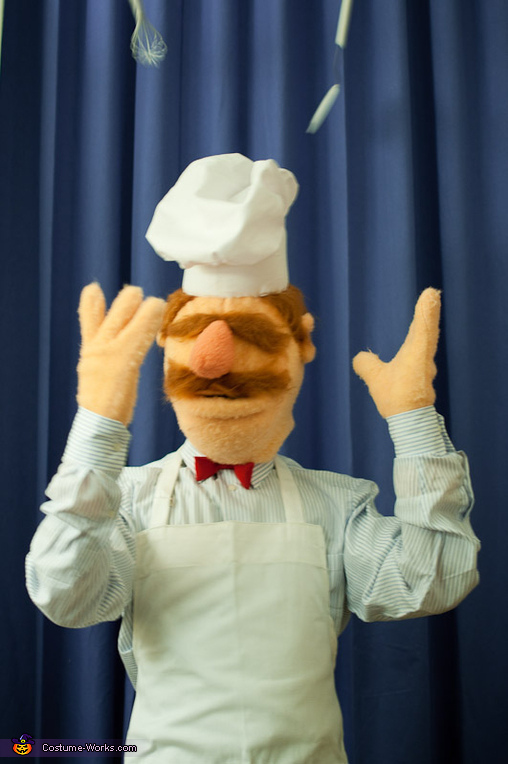 The Chef being Swedish, may be most famous for his exclamation: "Bork Bork Bork!" Wayne is the wearer as well as the creator of this Great Costume. This homemade costume for men entered our 2009 Halloween Costume Contest.